The event started with an overview from Eastern Blind Rehabilitation Services (EBRS) staff about working with blind veterans, what their needs are, and how the EBRS works with blind veterans to improve their functionality. EBRS staff instructed volunteers on how to guide visually impaired veterans while traveling. Veterans then joined the group and introduced themselves and noted where they served in the military. 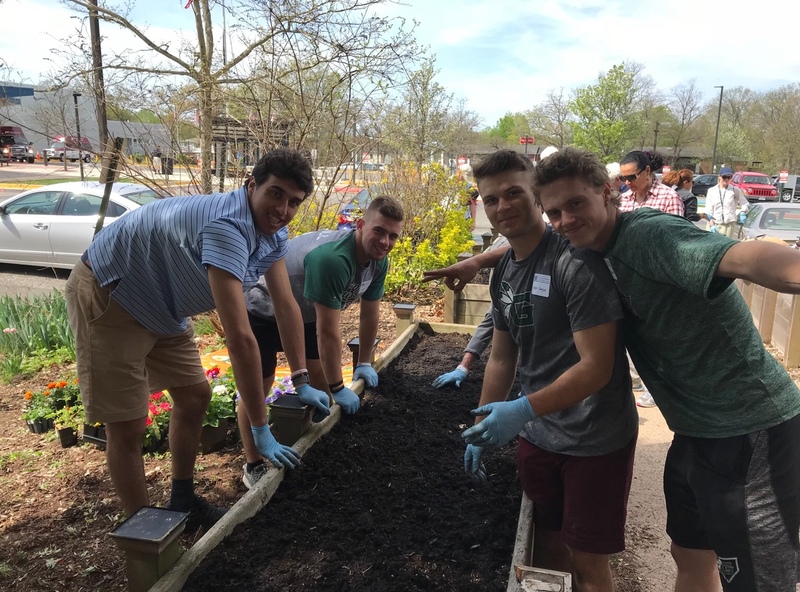 The program continued with volunteers working side by side with Veterans to prepare and plant the Blind Center’s garden — planting flowers and vegetables, weeding, and preparing the area for further planting. Vegetables grown in the garden will be used by living skills instructors for teaching training techniques in the Blind Center later in the season. All participants then headed back in for a lunch and socialized. 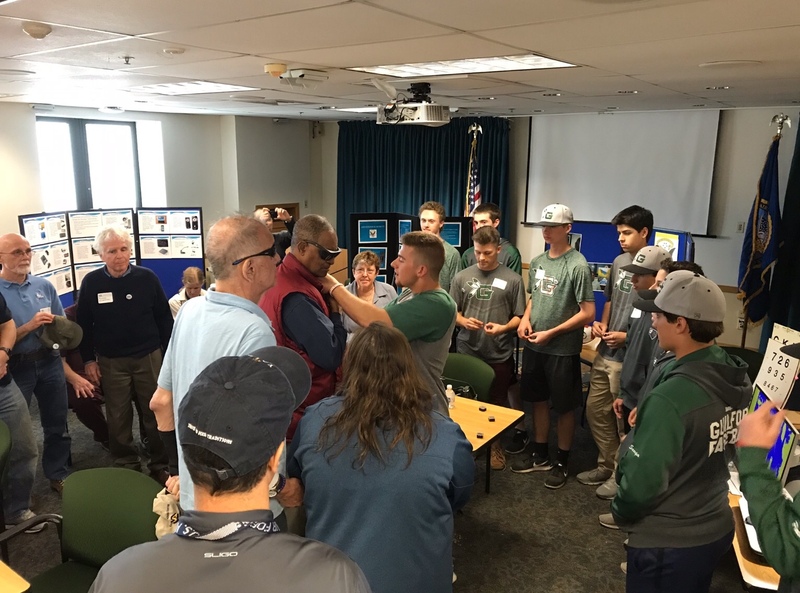 “In its continuing efforts to support local Veterans in Connecticut, the Yale Veterans Association (YVA) hosted a Day of Service in partnership with the Eastern Blind Rehabilitation Service (EBRS) of VA Connecticut Health System. 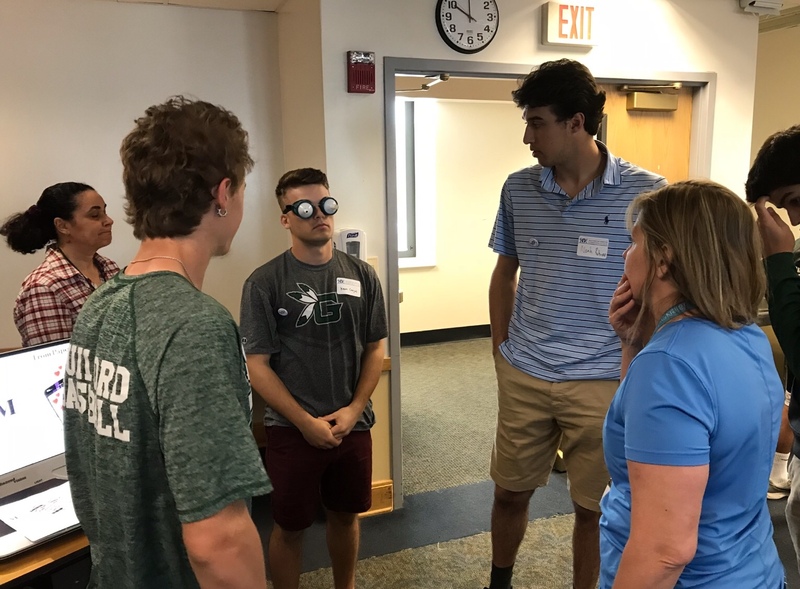 Volunteers took part in an educational program, met with blind veterans, planted in the Blind Center Garden, shared lunch, and had the opportunity to experience some of the adaptive equipment used in blind rehabilitation. Over 50 volunteers attended this year. 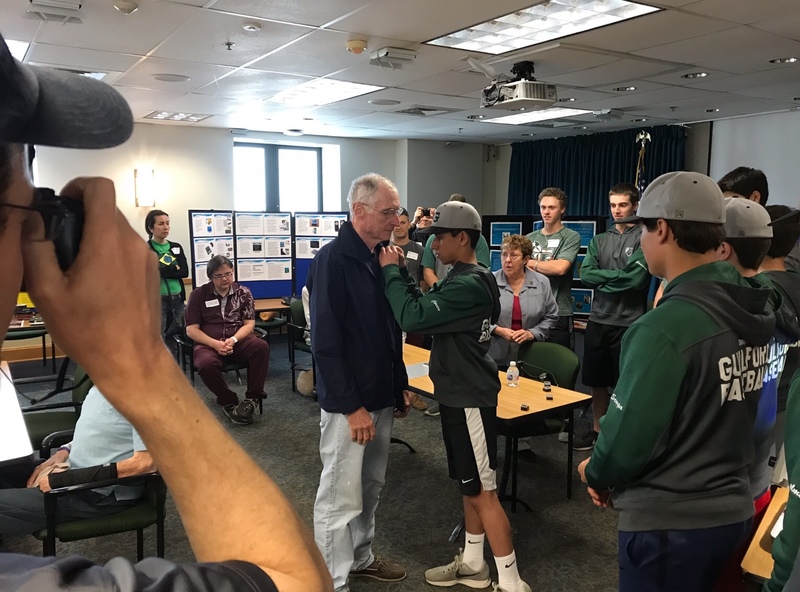 Logan Driscoll, President of Driscoll Cares and a senior at Guilford High School brought about 30 other students from the school’s baseball team. Also in attendance was Linda Schwartz, a Vietnam Veteran (U.S. Air Force) who was former commissioner of veterans affairs for Connecticut and assistant secretary of veteran affairs for policy and planning under President Obama.